Step 2. 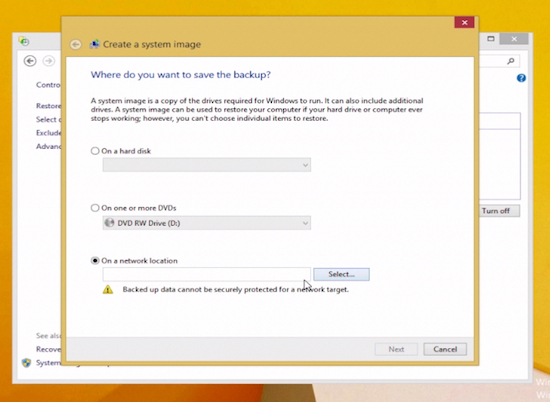 Click the link at the bottom: “System Image Backup”. Step 3. Select a destination for your backup: hard drive, set of DVDs or network location. Note that the network location cannot be guaranteed to be secure. Step 4. Proceed with the backup. It might take a while, since this is a fairly large operation. Step 5. 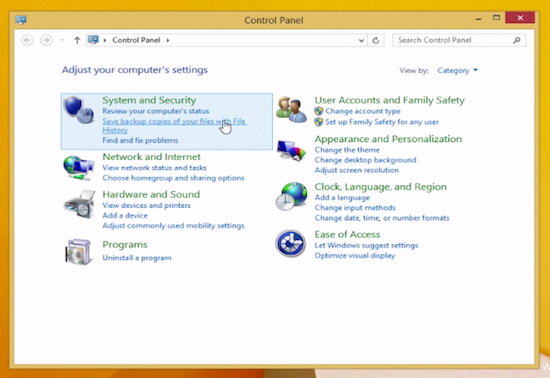 The restore procedure is done via the “Advanced Startup” service existing in Windows 8. To invoke that, either reboot holding one of the shift keys, or proceed to the “Settings” app, and choose “Update and recovery”, “Recovery” and select “Advanced Startup”. Step 6. Click “Restart now”. 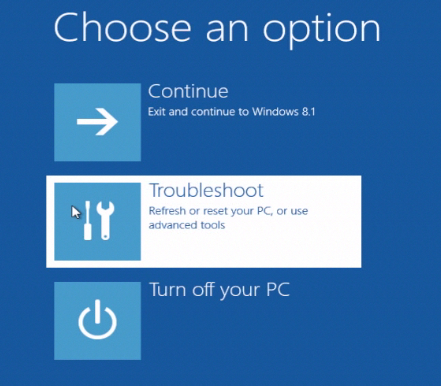 Your computer will reboot in “Advanced startup” mode. Step 7. Select “Troubleshoot”. Select “Advanced Options”, then “System Image Recovery”. 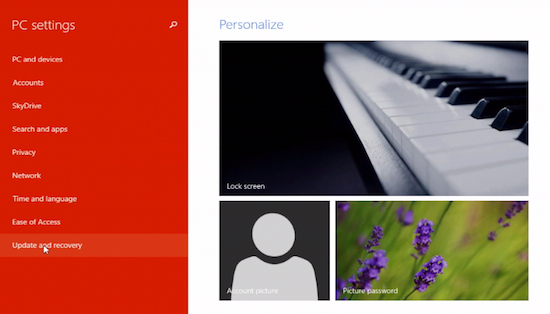 Windows 8 will enter into image restore mode, and you will be prompted for the image created as we described earlier. Result: That’s it! 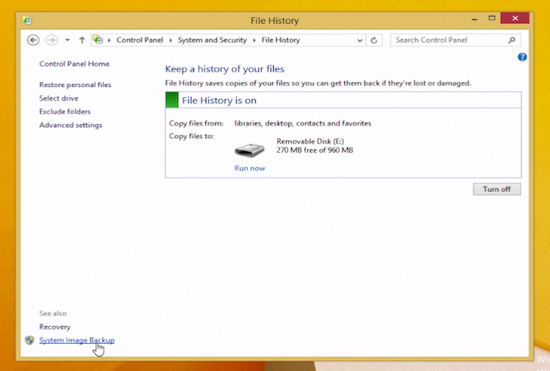 You now know how to backup and restore your Windows 8 system.